Modifying cars to provide increased performance, or at least the look of increased performance, has been part of popular hot rodding culture for the better part of a century. The golden age of Hot Rodding following the Second World War eventually gave birth to factory muscle cars in the 1960’s. Rising costs of insurance, crude oil and prices at the pump, as well as federal emissions standards nearly killed the muscle car by the mid-1970’s. However, this also gave rise to a new movement in the car modification culture. In the United States, the overall sales trend toward smaller; more fuel efficient, compact cars being imported into the U.S. began to inspire the Tuner Car movement. Due to the light weight of import cars from Japan or Europe, as well as improvements in technology, these compact cars began to exhibit high performance potential. While the Japanese sport compact import scene owes much of its current status to early Datsun/Nissan, Honda, and Toyota cars, Euro Car tuning can be traced back to early air-cooled Volkswagen Beetles. Similar to the Ford Model-T which inspired many early Hot Rodders, the affordability, widespread availability, and modification potential of Volkswagen Beetles created a path which many European car tuners would follow. Also similar to the way hot rods gave way to factory muscle cars, the early European compact car scene has evolved toward sporty performance cars designed and factory built from Volkswagen, Audi, BMW, Volvo, and even Mercedes-Benz. 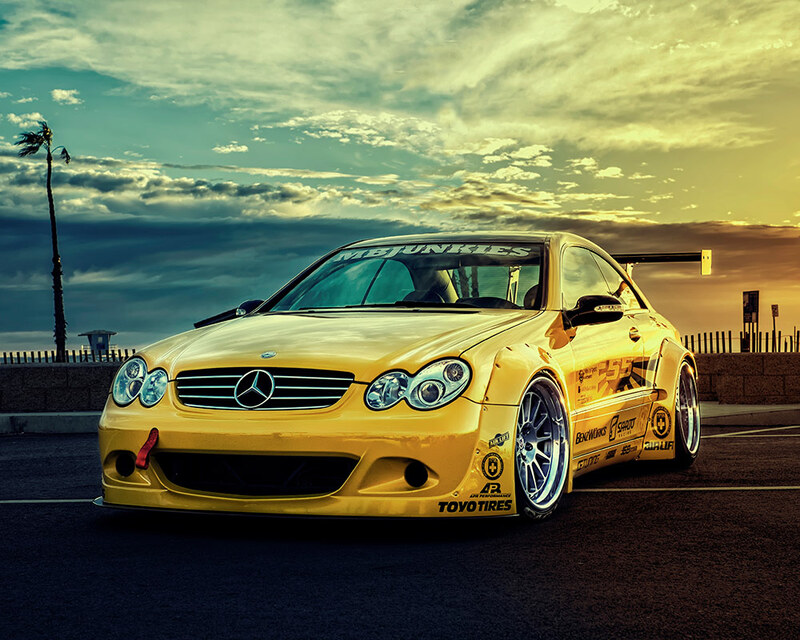 In a sub culture filled with cars built by Audi, BMW, and VW, Roland Gotingco dares to sway from the norm with his competition yellow 2005 Mercedes Benz CLK55 AMG. AMG models typically have more aggressive looks, higher performance, and better handling, than their regular Mercedes counterparts. 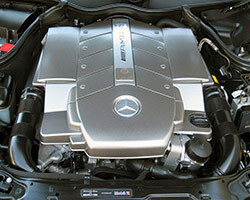 AMG models are also usually the most expensive and highest-performing of each Mercedes-Benz class. As an AMG tuned model of Mercedes’ CLK-Class mid-size luxury coupé, Roland’s 2005 CLK55 AMG was already a step above the average CLK both in terms of performance and styling. 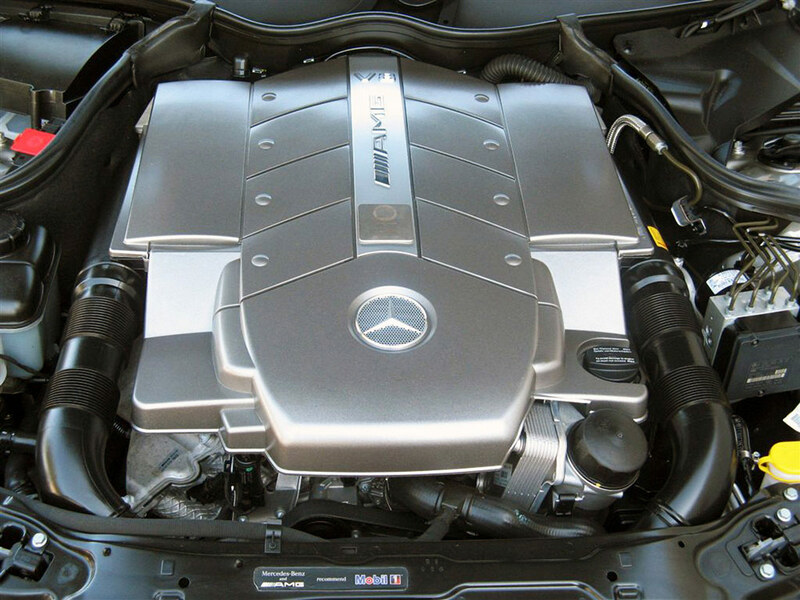 The 2005 CLK55 AMG was factory equipped with a 5.4 L, 24-valve SOHC V8 engine and a 5-speed automatic transmission. The AMG tuned CLK55 was rated at 60 more horsepower and about 40 lb-ft more torque than the top of the line non-AMG tuned CLK500 of the time. Because the 2005 CLK55 AMG is already powered by a healthy German built V8 engine, Roland decided to stick with basic engine modifications including a pair of K&N drop-in replacement air filters 33-2181. 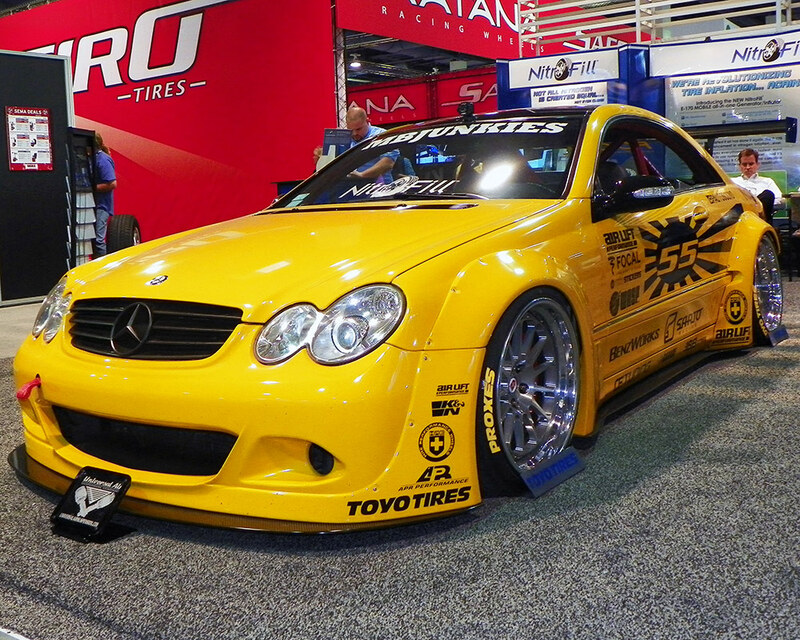 With factory horsepower being properly supplemented by the superior airflow and superior performance of K&N air filters, Roland moved onto visual modifications that both physically and aesthetically enhance the performance of his 2005 CLK55 AMG Mercedes. The Sarto Racing Rocket Bunny wide body kit installed by DTM Autobody, APR Performance carbon fiber wing, front splitters, as well as side splitters, and the competition yellow livery made sure this car popped while on display in the NitroFill 2015 SEMA Show Booth at the Las Vegas Convention Center. Roland finished off that proper Euro Tuner look with a set of custom HRE Performance Classic Series wheels in 19” x 10” in front and 19×12 out back. 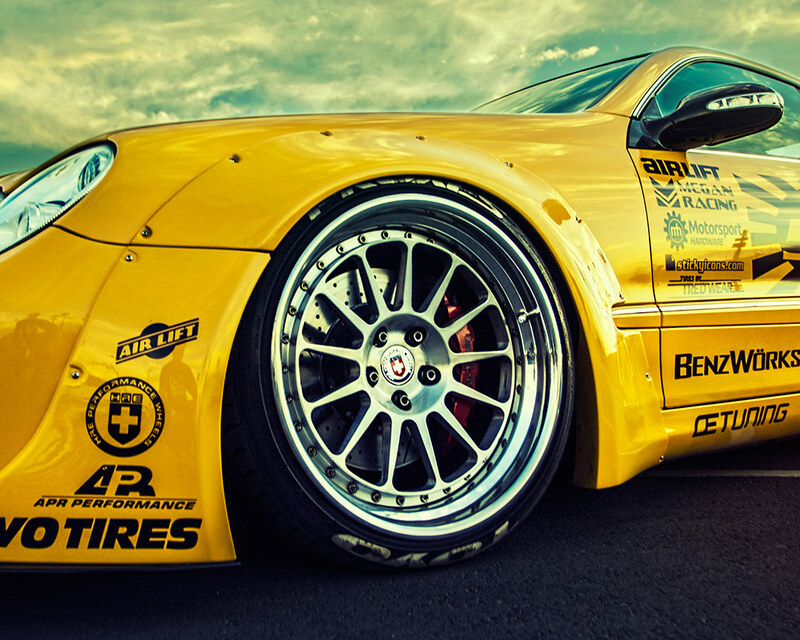 Stretched onto those HRE wheels are a set of Toyo Tires Proxes ultra high performance tires in a wide and ultra-low profile 245/35/19 and 295/30/19 sizes front to rear. Airlift Autopilot V2 air management air bag suspension over Megan Coil overs provide that tire tucking race car stance with the ability to adjust ride height when needed. 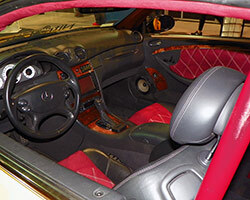 The inside of Roland’s 2005 Mercedes Benz CLK55 AMG wasn’t ignored. Roland not only added amenities but he managed to up the race inspired styling at the same time. A Kenwood Excelon DNX8120 double DIN head unit is at the heart of a full custom Focal Audio System build which incorporates a rear seat delete. In place of the rear seat are two 12” Focal Flax sub woofers, a Powered by Focal PD900.1 amplifier and another Powered by Focal PD600.4 amplifier. A custom Novasuede diamond stitch two-tone interior provides a plush seating surface while a custom roll cage by City Garage provides additional peace of mind. A complete list of modifications made by Roland Gotingco to his 2005 Mercedes Benz CLK55 AMG is below. Find a K&N replacement air filter for your CLK55 AMG on the K&N Air Filters for the Mercedes-Benz CLK55 AMG page, or use the K&N Search by Vehicle tool to find K&N performance upgrades for other vehicles. Use the K&N Dealer Search to find an authorized K&N dealer in almost any part of the world. The Mini Cooper is an automotive cultural icon, so whenever it undergoes a facelift, any car guy worth his weight in motor oil worries just a little bit. 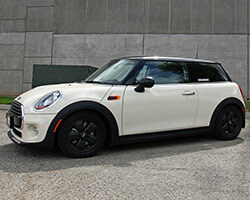 Thankfully, the 2014 redesign of the Mini Cooper didn’t disappoint. The Mini Cooper became a hair less mini yet still remained smaller than most subcompact competitors. It gained additional rear seat legroom, cargo room and a pair of new turbocharged engines. While the new 1.5 liter and 2.0 liter turbocharged engines provide ample power, there’s still room to add muscle to the Mini. Add a guaranteed increase in horsepower and torque to 2014, 2015 and 2016 Mini Cooper 1.5 liter or 2.0 liter turbo models with K&N Typhoon performance air intake system 69-2026TTK. The 69-2026TTK air intake system is an easy to install performance upgrade and comes with all the hardware necessary for installation. A mandrel-bent aluminum air intake tube replaces a portion of the factory turbo inlet pipe to help streamline airflow into the turbocharger. This tube incorporates a mounting location for the factory mass airflow sensor and is finished in a durable flat black powder coat. 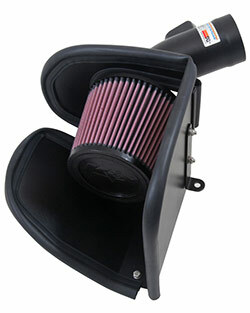 Attached to the new K&N air intake tube is K&N RU-5176 conical performance air filter. This filter is designed to help minimize restriction in the airflow pathway while the oiled cotton gauze filtration media provides superior engine protection. Another benefit of this K&N air filter’s design is that it’s washable and reusable and can go up to 100,000 miles between cleanings, depending on driving conditions. The filter is shrouded by an application specific heat shield, and reuses the factory fresh air ducting to help provide cooler air from outside the engine bay. Put all of these precision-engineered parts together and you have a recipe for increased performance. On the dyno a 2015 Mini Cooper 1.5 liter turbo produced an estimated additional 6.5 horsepower at 3200rpm and 11.0 pound-feet of torque at 3200rpm with K&N air intake 69-2026TTK. For a small 1.5 liter engine, those are some impressive power gains. 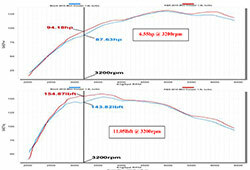 Increases in performance for 2.0 liter turbo models will be similar, or maybe better, when 69-2026TTK is installed. K&N backs its air filters and air intake systems with a 10-year/million mile limited warranty and a Consumer Protection Pledge so Mini enthusiasts can feel confident that their automotive cultural icon is covered. The heart and soul of what began over 50 years ago with the Mini Cooper is alive and well today in the newest generation. Give your little piece of history a boost in performance with the K&N 69-2026TTK Typhoon performance air intake system. 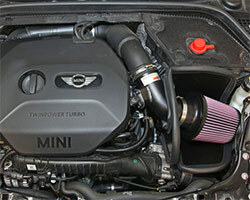 Additional Mini Cooper performance intakes can be found on the K&N Air Intake Systems for the Mini Cooper page. Order K&N performance upgrades at KNFilters.com or find an authorized K&N dealer using the K&N Dealer Search.